One of the oldest and most popular Kodi addons is being shut down after a decade in action. Navi-X, which was the go-to addon for hundreds of thousands of people, will be discontinued due to legal fears, spam, and pollution with mislabeled adult content. One of the main questions asked by new users of the Kodi media player is what addons should be installed to get the best experience right from the start. Over the years, hit add-ons such as Exodus, Phoenix, SALTS and SportsDevil have all been top of the list but due to its wide range of content, one in particular has enjoyed broad appeal. 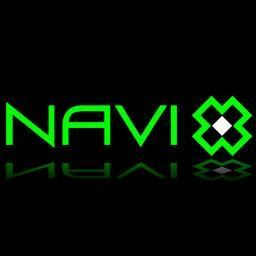 Navi-X began life ten years ago in 2007. Developed by Netherlands-based coder ‘Rodejo’, it debuted on XBMC (Kodi’s previous name) on the original XBoX. “Navi-X originally only played back media items of video and audio content and was eventually expanded to included many other media types like text, RSS, live streams and podcasts,” the team at TV Addons explain. Over the years, however, things changed dramatically. Due to the way Navi-X works, the addon can import playlists from any number of sources, and they have invariably been dominated by copyrighted content, from movies and TV shows through to live sports. This earned the addon a massive following, estimated by TV Addons – the site that maintained the software – as numbering in the hundreds of thousands. Soon, however, Navi-X will be no more. “Every good thing must come to an end. After ten years of successful operation, Navi-X is sadly being discontinued. Navi-X was first released in April 2007, and is the oldest Kodi addon of its kind,” TV Addons explain. Also, the team says that Navi-X was slowly being overrun by people trying to make a profit from the service. Playlists were being filled with spam, often advertising premium illegal IPTV services, which TV Addons strongly opposes. Mislabeling of adult content was also causing issues, and despite TV Addons’ best efforts to get rid of the offending content, they were fighting a losing battle. “We tried to moderate the database, but there was just too much content, no one had the time to watch thousands of videos to remove ads and distasteful content,” the team explains. Unlike other addons that have come under legal pressure, the shutdown of Navi-X is entirely voluntary. TV Addons extends thanks to developers rodejo16 and turner3d, plus Blazetamer and crzen from more recent times. The repository also thanks those who took the time to create the playlists upon which Navi-X relied. It is this that shines a light at the end of the tunnel for those wondering how to fill the void left by the addon. “We’d also like to recognize all the dedicated playlisters, who we invite to get in touch with us if they are interested in releasing their own addons sometime in the near future,” TV Addons concludes.